Monitoring Live Web traffic is quite fascinating at times. It helps you to know which pages are popular on your website. Moreover you can also understand the areas in which readers are interested and concentrate more on those to maximize your websites performance. I would like to list some tools that will help you to monitor realtime web traffic. 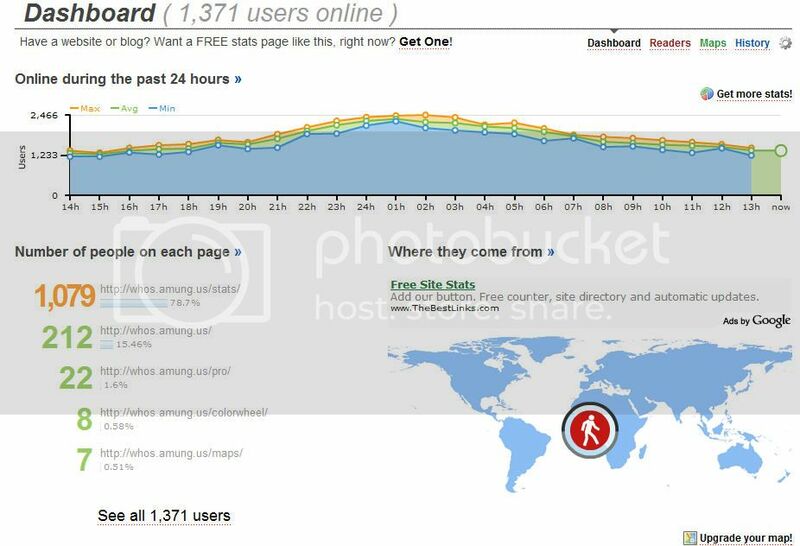 Whos.amung.us is an online tool that helps you monitor realtime web traffic. I’m sure most of the bloggers nowadays are familiar with this tool. To use this tool all you need to do is place a small image widget on your website with the link. It will monitor real time web traffic. 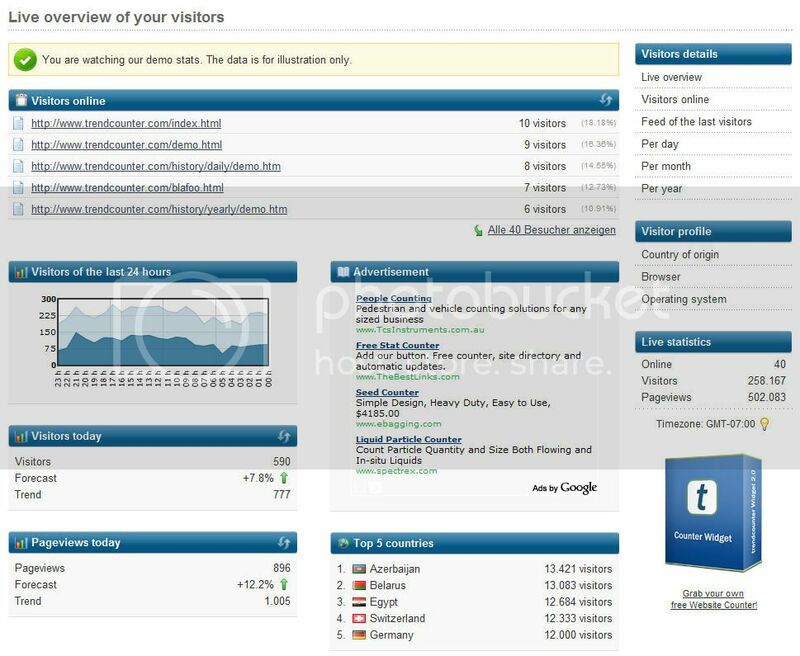 When you click this widget, it will show you the visitors that are viewing your pages. Trendcounter is an alternative to whos.amung.us. The widgets are quite similar to whos.amung.us. All Trendcounter widgets are free of charge, adfree and immediately usable without signup. Feedjit offers four different tools for monitoring live traffic. You can add different types of widgets to your web site to better identify your visitors and find out where they are from and what they are reading. Feedjit widgets are good for detailed information about visitors. But, the biggest drawback is that they are huge. So, if you are planning to place these widgets then you need to reserve some space for them unlike whos among us and trendcounter widgets which are so tiny that can be placed anywhere. 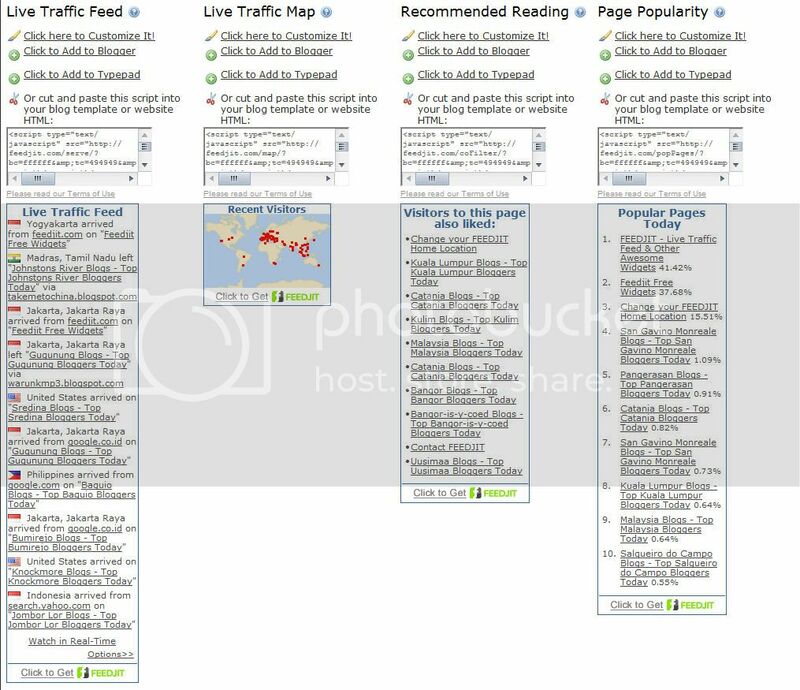 If you come across any other similar live web traffic monitoring tool, feel free to comment here.